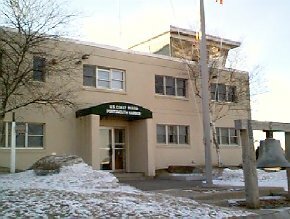 I joined the Portsmouth Naval Shipyard Atlantic Sea Bee Battalion, USNSCC, PNSY when it was formed in the Summer of 1998. It's been a great experience for me and I have had a lot of fun. Lots of work, too! View of Portsmouth harbor from the shipyard before awards ceremony. 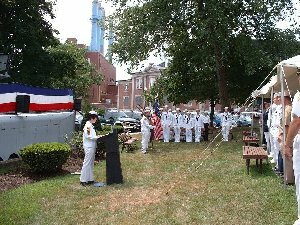 USNSCC 1st year service awards ceremony, Portsmouth Naval Shipyard. It's too early in the morning, but I'm getting my gear ready for inspection before leaving for my first time at boot camp to Newport, RI. 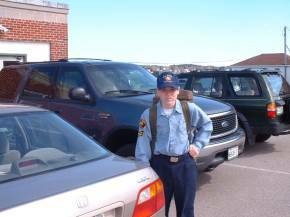 Squad Leader, USNSCC League Cadet Colin Rose reporting! SIR! 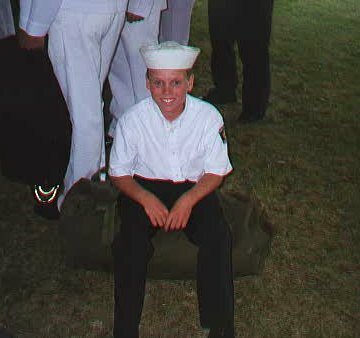 At parade rest with my unit during boot camp closing ceremony. 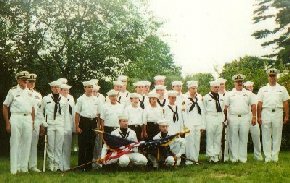 My full unit of Leagers and Sea Cadets after boot camp closing ceremony. 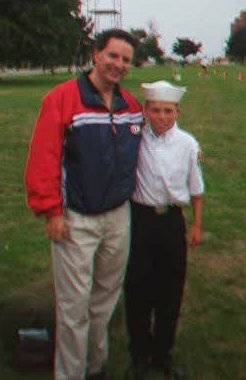 Dad and I on the parade grounds after boot camp closing ceremony. Come on, dad! I'm pooped and I just wanna go home and get some sleep! 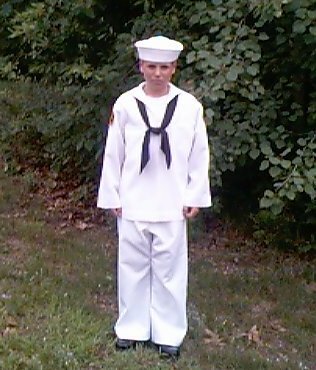 2 weeks of Sea Cadet boot camp completed. 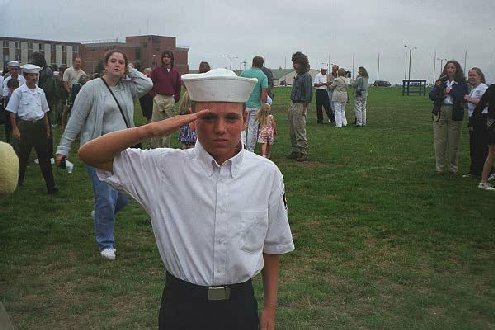 I'm now a full Sea Cadet, Seaman Apprentice-Temporary. 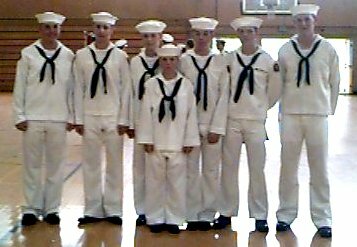 Members of the Portsmouth Sea Bee Naval Sea Cadet unit attending boot camp. 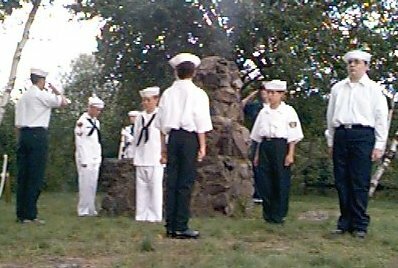 At this years Sea Cadet Awards Picnic 08/00 we had a flag retirement ceremony where we learned how to properly dispose of our country's flag. I'm in the middle facing out. 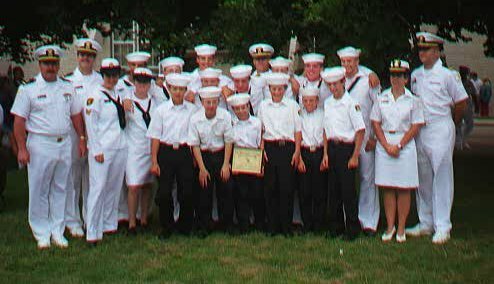 Here is a picture of our Sea Cadet unit at this years 08/00 Awards Ceremony picnic. 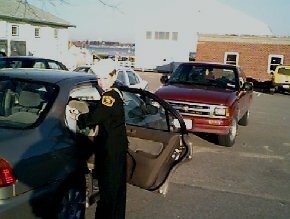 Pulling my seabag out of the car for a weeks Sea Cadet training 02/19 at the US Coast Guard station, Newcastle, NH. 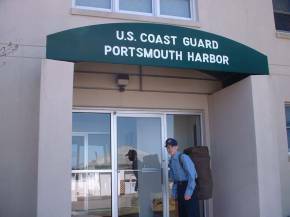 I had an opportunity to spend a week at the US Coast Guard station, Newcastle, NH. 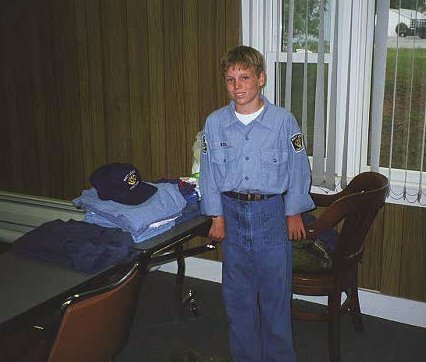 for part of my yearly Sea Cadet training requirements. 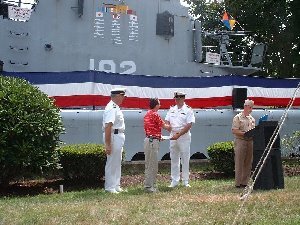 Here is a picture of our unit forming up for our 2001 Awards Ceremony and picnic. I'm 2nd from the right in the front row. 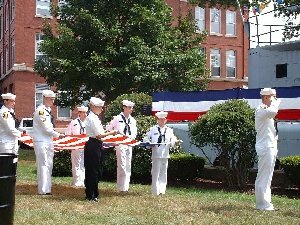 At this years Sea Cadet Awards Picnic we had another flag retirement ceremony. 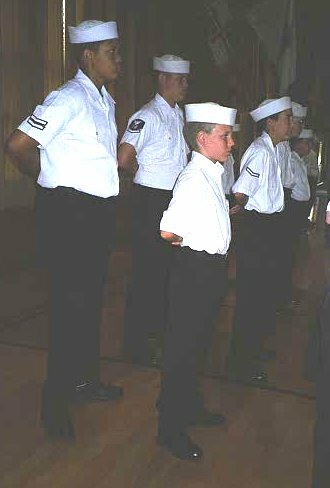 This is a picture of the honor guard. I'm in the front right corner. 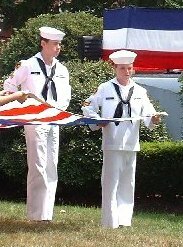 Close up of Quincy and I carrying the flag to be retired. I had the honor of disposing of the main part of the flag into the fire after it had been properly cut into 2 sections. 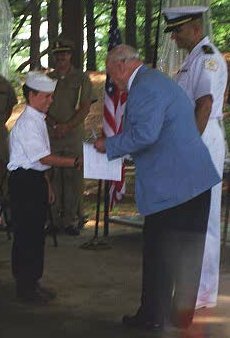 My dad receiving achievement recognition award 08/11/01 for taking the responsibility of being the webmaster for the unit. 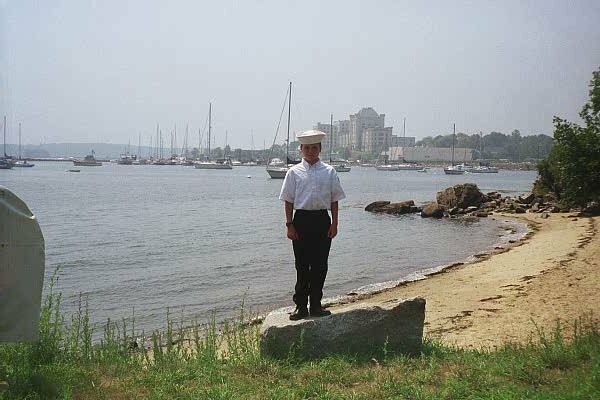 Reporting for USN Sea Cadet TWT Training duty US Coast Guard station, Newcastle, NH. 04/21/02.